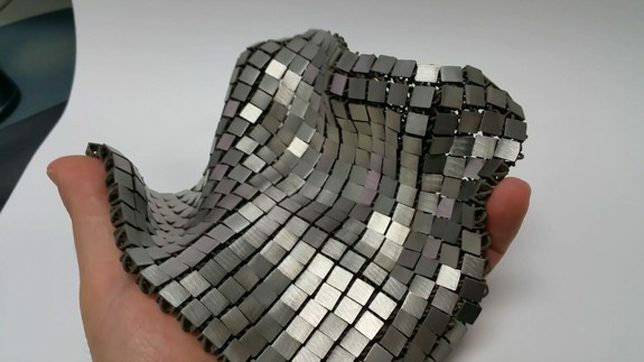 NASA’s latest futuristic textile is made of metal but can fold and change shape, protecting a wearer (or covered craft) from dangerous collisions that could tear holes in people or ships. 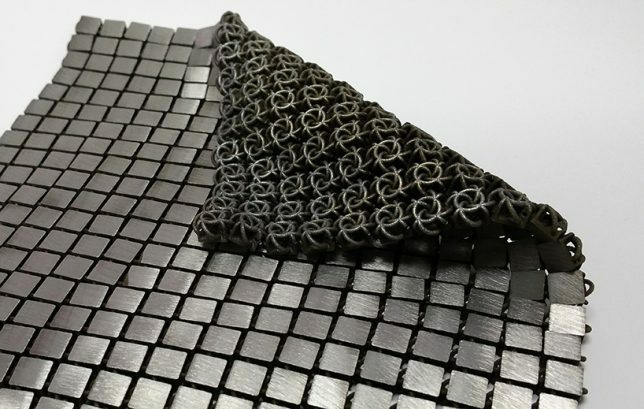 The woven metal is made up of a squares on the surface that are linked together on the back, but thanks to clever manufacturing the entire system can be created at once (rather than stitched together). With printers sent into space, this means astronauts could recycle and rebuild the material for different applications on demand. 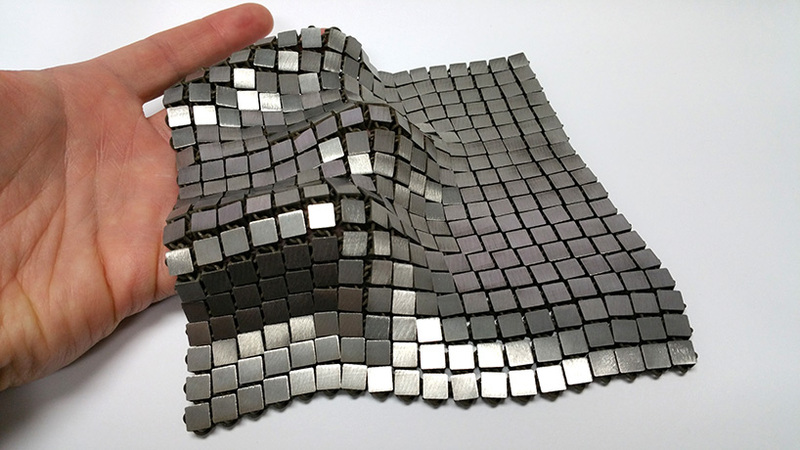 Developed by the Jet Propulsion Laboratory, this versatile textile has thermal protective properties as well, able to to keep machinery and people warm. Despite its flexibility, the mail retains a high tensile strength and can reflect or absorb light for heat control depending on which side faces outward.